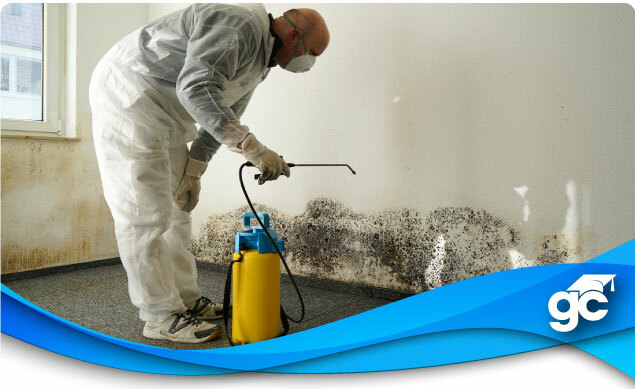 If you hold a Mold Related Services license, meaning you are a Mold Assessor and/or Mold Remediator, you are now required to complete 14 hours of continuing education each renewal cycle. For the most part, this education DOES NOT compliment current CILB continuing education requirements, therefore many of the CE hours used for renewing any other license cannot also be used to renew your Mold Related Services license. Call 1-800-732-9140 for questions or to register by phone. To avoid having an excessive amount of continuing education hours to complete during renewal years, Gold Coast strongly recommends completing your Mold Related CE requirement far in advance of the July 31st, 2020 deadline. Our complete package includes all the mandatory hours including: Moisture Intrusion, Mold Safety, Report Writing, and Standards of Practice. If you have any questions about your continuing education requirement, contact our helpful Career Counselors at 1-800-732-9140.